Jeff Williams (SVP Operations at Apple) teased “The car is the ultimate mobile device”. Analysts talk about an iCar but it’s still short of wheels and the developer of the ultimate German car didn’t even know anything about smartphones. 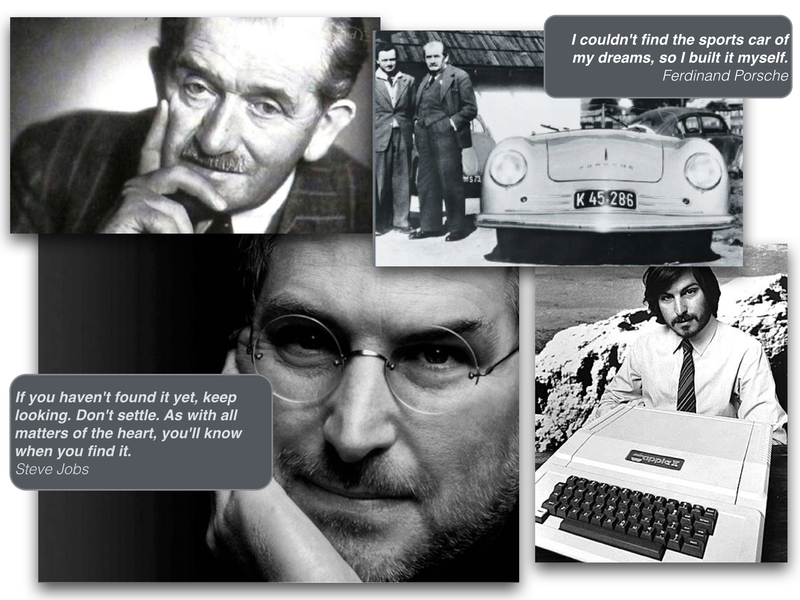 I won’t be surprised however if Steve Jobs and some other guys in Cupertino read about Ferdinand Porsche’s beliefs. I’m convinced that about half of what seperates the successfull entreprenuers from the non successful ones is pure perseverance. I think not only Steve Jobs and Tim Cook but also Apple’s Industrial Design Group conducted by Sir Jonathan Ive could totally agree.